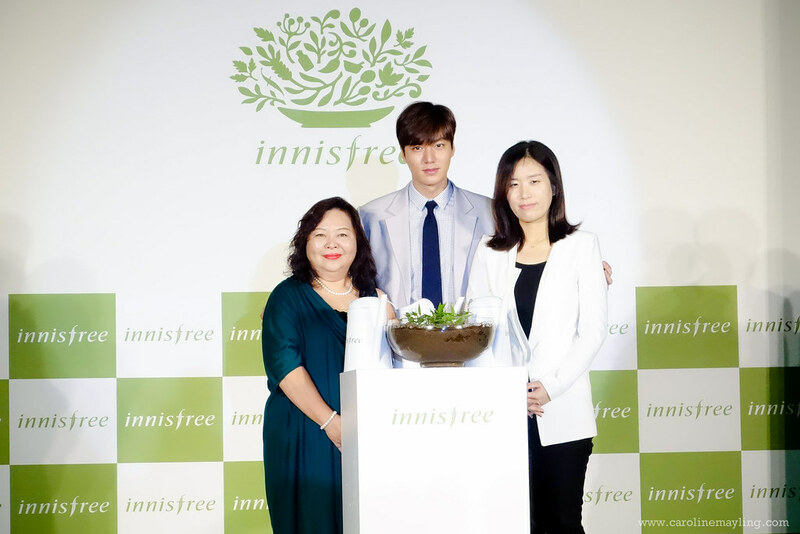 Huge thanks to Innisfree for bringing Lee Min Ho all the way from Korea to Malaysia for the Innisfree Festa 2015! I am one of those lucky fans who got the golden chance to attend this event and meet Lee Min Ho so up close! 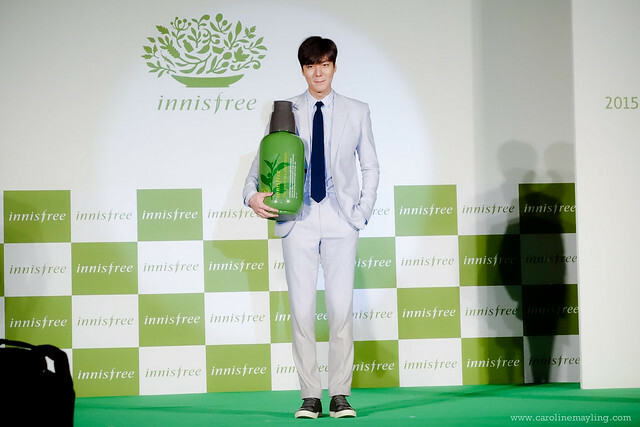 Just so you know that Lee Min Ho is the Global Brand Ambassador for Innisfree. I was glad to be there early and scored myself a good seat - 3rd front row seat from the stage! 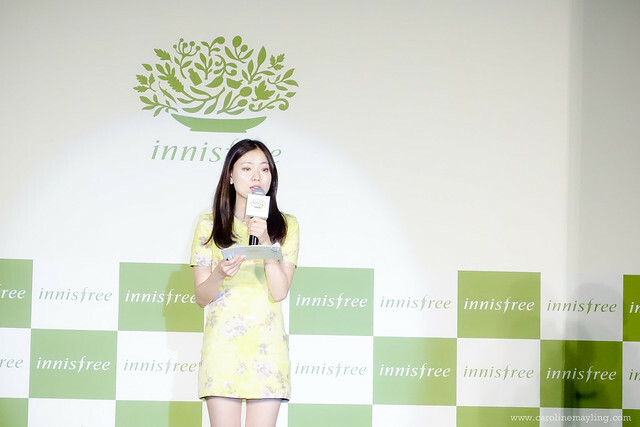 innisfree (translated literally to "pure island") showcased its pursuant of the philosophy of bringing healthy beauty to body and mind with the pure ingrdients from the clean island of Jeju through innisfree Festa, which has been successfully held in other countries like Hong Kong, Taiwan and Singapore. 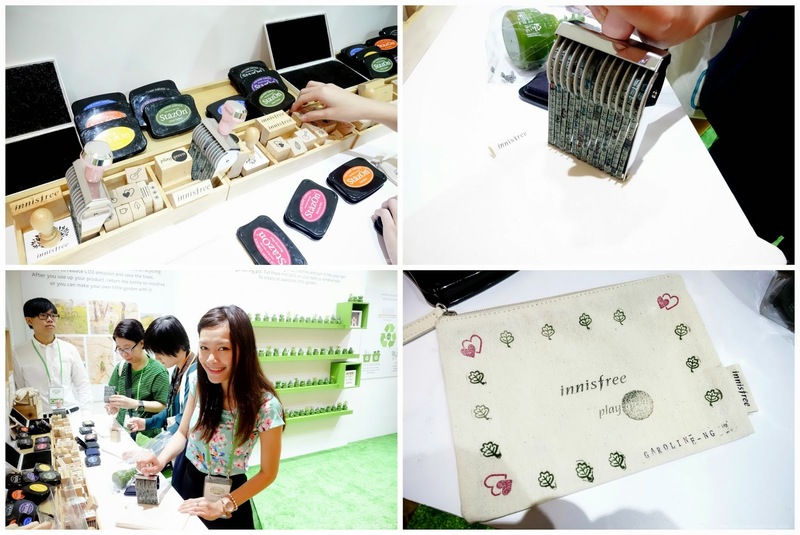 The innisfree Festa was designed to share the holistic, experiential overview of the naturalist K-beauty brand. There's a photoboothset up at the event for guests and media representatives to enjoy snapping their photos away and bring it home as souvenir. 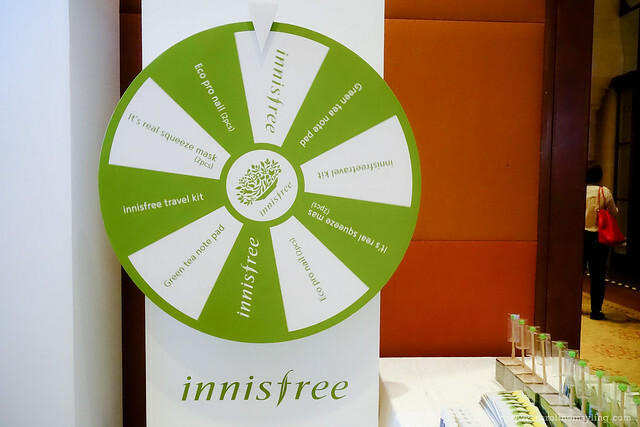 The journey to green beauty began with The Story of innisfree. 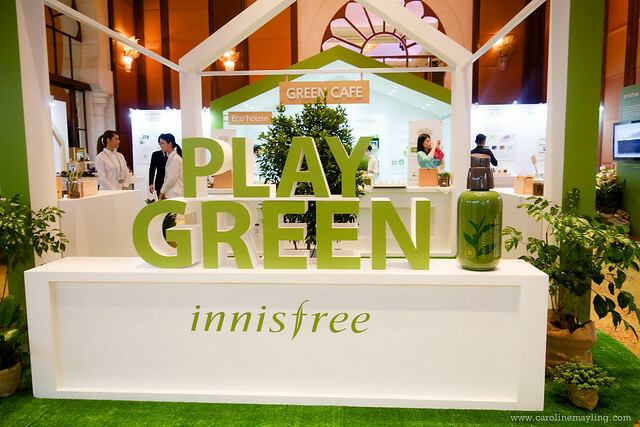 At here, the guests were encouraged to try and test a selection of innisfree's skincare lines in the 8 Solution Display Zone to study the natural ingredients used through a large-scale 8 Solutions Ingredient map. 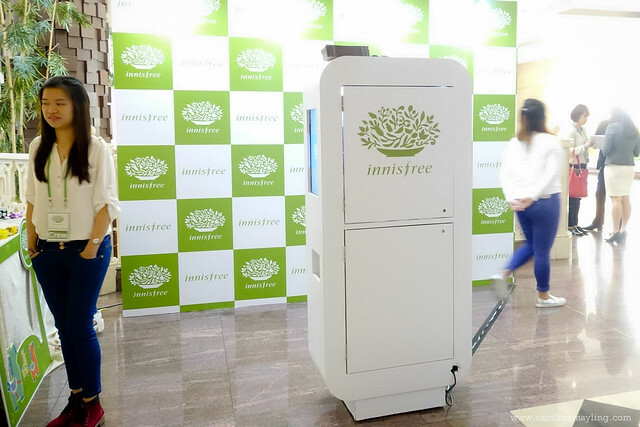 Moving to the Eco-house, we get to learnt about innisfree's Green Life Campaigns and its advocacy in painting a greener future through efforts such as replacing tissues with innisfree's eco-handkerchief, recycling the empty cosmetic bottles, preserving the charm of Jeju Island and more. 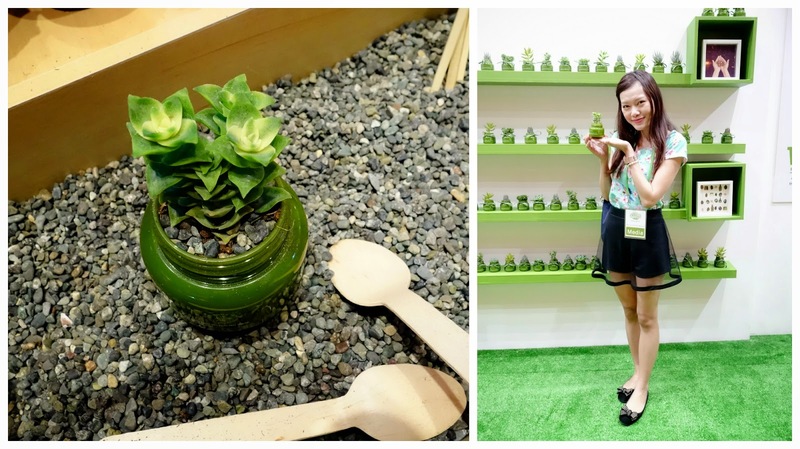 At the Eco-gardening zone, we learnt a simple planting session using recyclable innisfree bottles, and also get to bring it home as another souvenir! At the DIY Eco-pouch zone, we were each given a plain pouch and decorate it our own creative way. Of course, we get to bring this home with us too! The last station - Lucky Wheel - where we get to spin the wheel to score some prizes for ourselves! 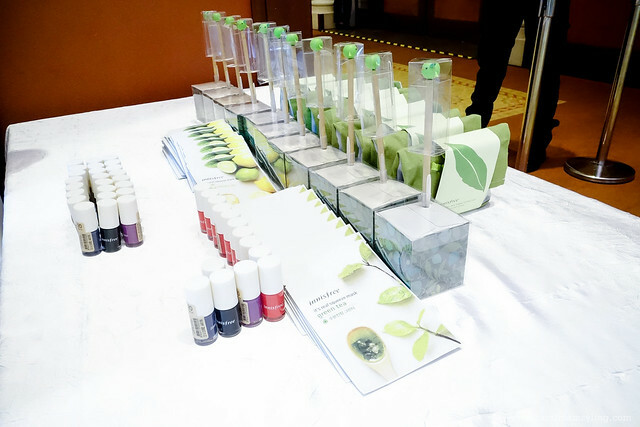 I've bought the Eco nail polishes during the launching and wanted to have more of these! I was hoping to get Two Eco nail polishes, and I scored them! I get to choose two different colors too! According to Ms Koo Ae-Ran, "With increasing green consciousness and lifestyles in harmony with nature booming, it was a timely decision for us to bring the natural goodness of Jeju to Malaysia to fuel the demand for natural beauty products. 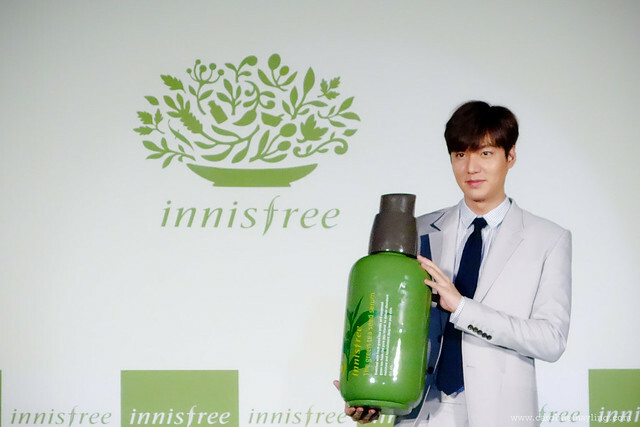 As we make our mark in Malaysia, we are grateful and indeed thankful that innisfree is well-received in the local market. As we celebrate the success with our loyal customers today, I can assure you that the store at Sunway Pyramid Shopping Mall is just the first of many stores planned for Malaysia in the near future." 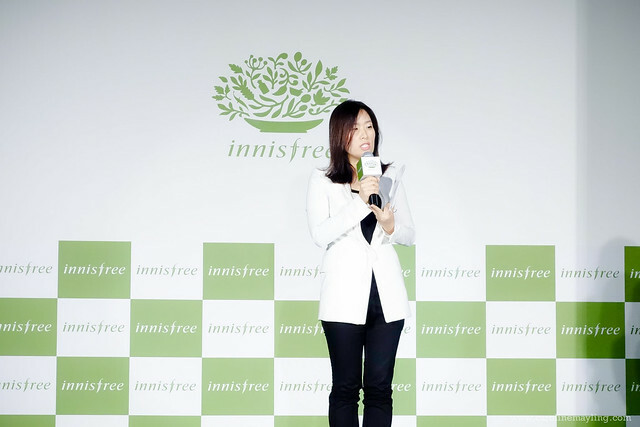 She adds, "Committed to take our green goals to the next level, this closed-door innisfree Festa is our way of bringing the essence of Jeju Island alive. We believe the thoughtfully crafted experiential walk-through will take you one step closer to understanding the green ideology and methodology behind this brand. 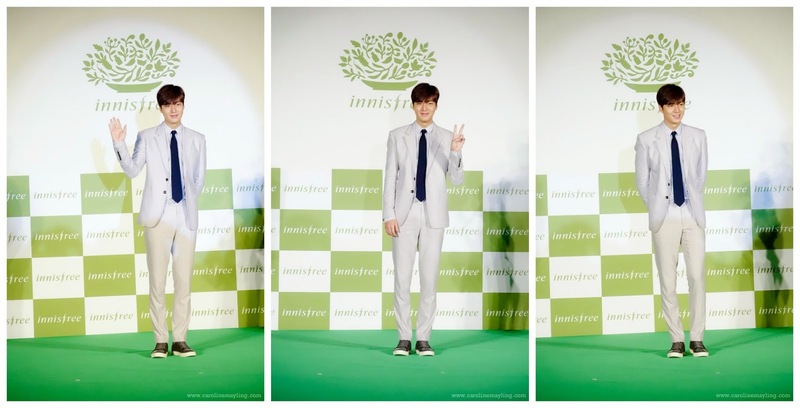 Plus, it's our way to introduce our Global Brand Ambassador, Lee Min Ho to his fans and local media." Say hello to Lee Min Ho!!! Despite having flown in late the evening before, Lee Min Ho, still standing tall manly and charismatic glory, were all smiles as he greeted the media and proceeded to answer some of the many questions that were raised. 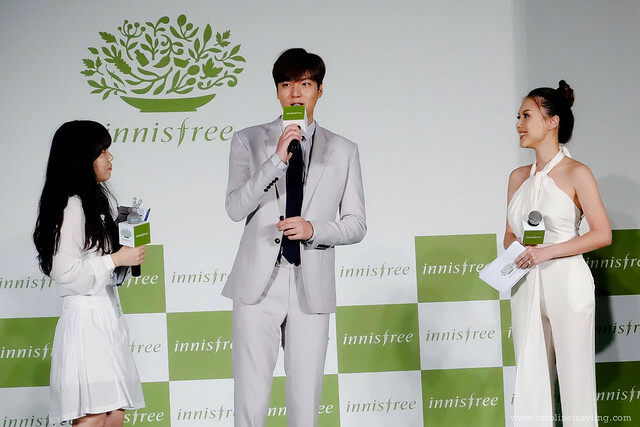 He also shared his daily (beauty) regime and shared that he never leaves home without his "innisfree's Forest for Men All-in-one Essence". 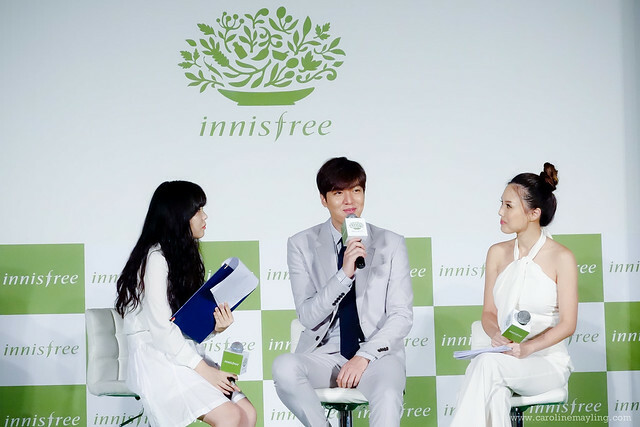 Given his hectic filming and busy travel schedule, Lee Min Ho also said, "I definitely credit innisfree's Super Volcanic Pore Clay Mask and Green Tea Seed Serum for keeping my skin clear, hydrated and fresh round the clock" Now we know his secret of having clear skin! 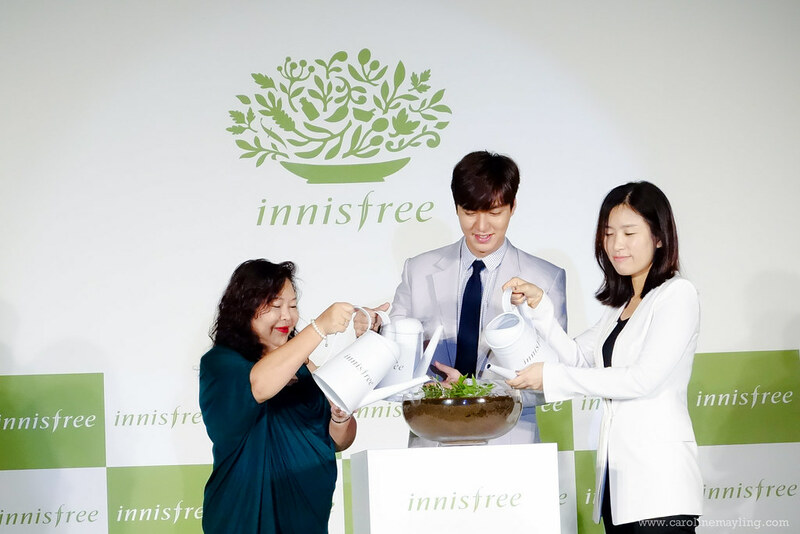 To officiate innisfree's launch into Malaysia and commemorate innisfree Festa 2015, Lee Min Ho, together with innisfree's global and local representative, Ms Koo Ae-Ran and Ms Margaret Chin (General Manager of AMOREPACIFIC Malaysia), watered a green tea plant as a symbolic gesture. 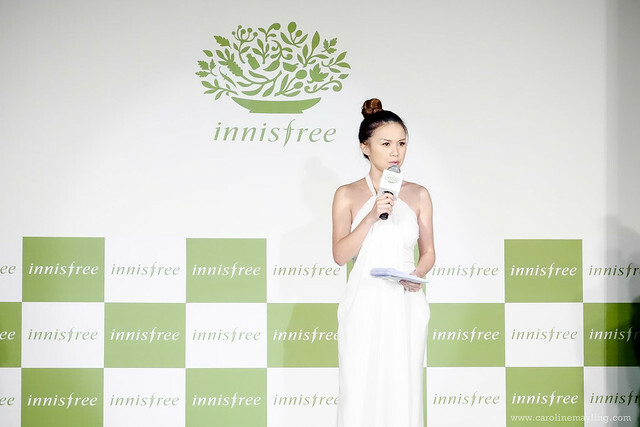 This joyous moment signified innisfree's promise to spread natural and green beauty in Malaysia, directly delivering the natural benefits of Jeju to local customers through its products and sustainable efforts. It was such an awesome day with Lee Min Ho! 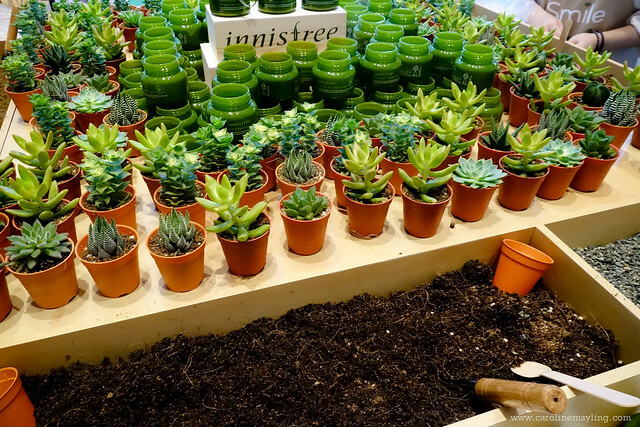 If you guys haven't visited innisfree's first store in Malaysia, do head to Sunway Pyramid Shopping Mall, G1.70, Ground Floor (Orange Zone)! 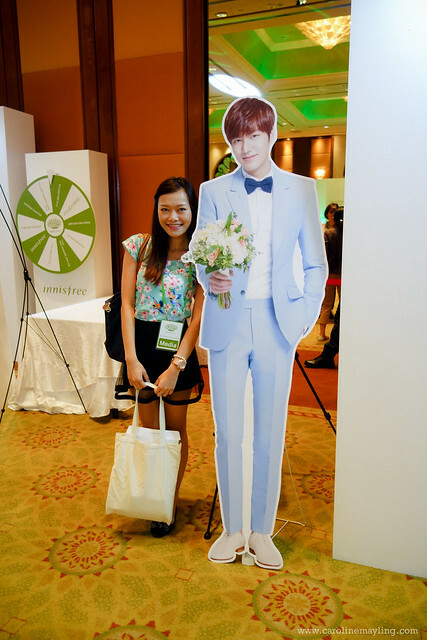 p.s: Follow innisfree malaysia on Facebook to find out more about innisfree, innisfree Festa, Lee Min Ho and current/future promotions!